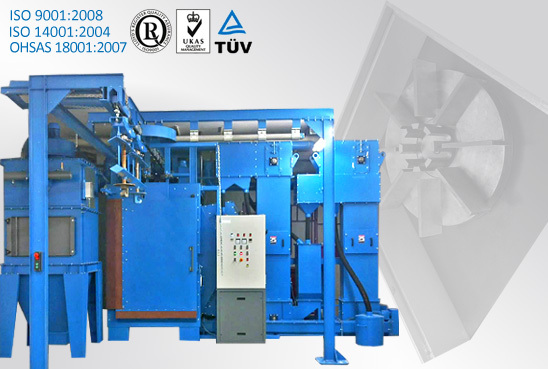 Wheel blast machines are dedicated to mechanical surface preparation by impact treatment using the turbine technique. Wheel blast machines are mainly used to remove scale, rust and old paint coatings. SciTeeX Group offers a wide range of machines responding to different requirements in terms of workpiece size and productivity. 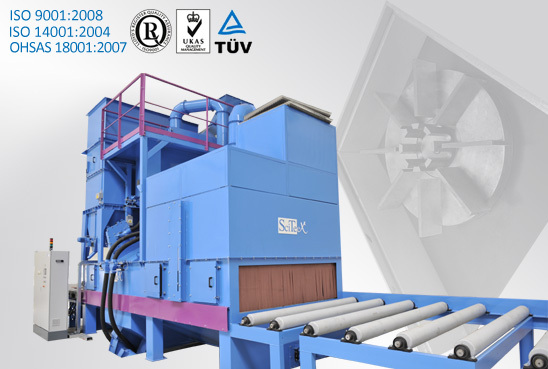 The RATIOJET Series developed by SciTeeX includes tailor made wheel blast machines manufactured to achieve the highest-quality by the European strictest standards. SciTeeX offers the most cost-effective processes available on the market. The cleaning chamber. This is the key element of the wheel blast machine. 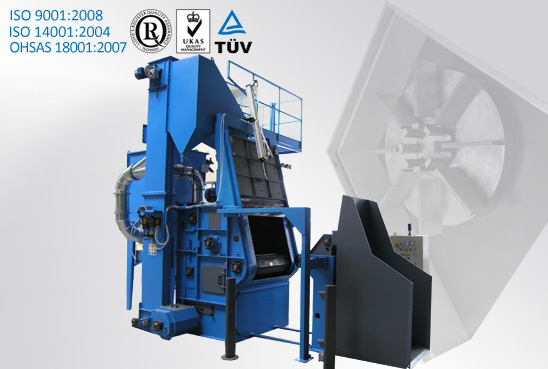 The cleaning chamber is made of the highest-quality manganese steel covered with an additional layer of protective plates. This ensures low operating cost and long service life of the machine. Turbines AH 280 and AH 350 . The turbines are designed to provide a substantial improvement in production efficiency.